Bring a smile to someones face with this pretty rainbow design! Add it to children's apparel, bedding or create a wall hanging! 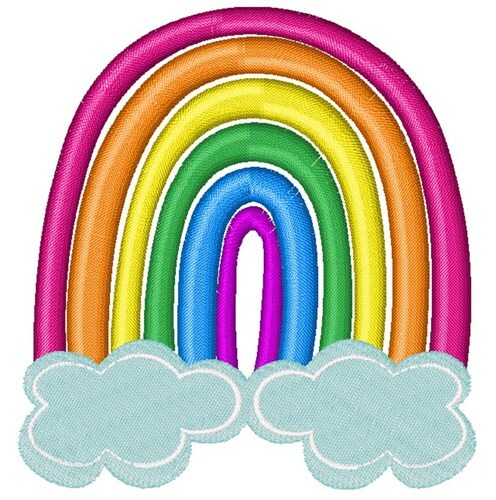 Windmill Designs is happy to present Rainbow machine embroidery design which has 5678 stitches and is [58.21 mm x 61.58 mm] large. If you would like to view more embroidery patterns please search on our embroidery designs page.